An exchange featuring Sen. Ben Hueso illuminates a big debate over wildfires, San Diego’s city attorney supports a bill to remove ICE from courthouses and more in our weekly roundup of news from Sacramento. All summer long, there’s been a steady stream of news about impossibly long lines at DMVs across the state. 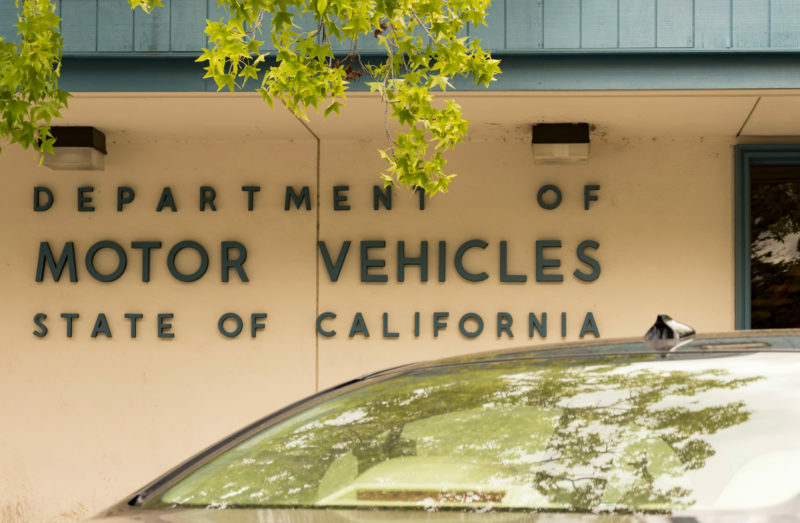 The DMV recently expanded Saturday hours to try to cut down the delays, and as lawmakers returned from summer recess, they announced plans to try and deal with the problem. One was Senate Republican leader Pat Bates. She announced urgency legislation this week “that will give an additional 90 days on all license renewals set to expire this year. Her bill will also extend the deadline for new Californians to register their out-of-state cars,” according to a statement from her office. Her office did not respond to requests for more details about the bill. The Legislature also heard about the issue in a special hearing Tuesday. DMV Director Jean Shiamoto “blamed the delays on three new projects: the federal ‘Real ID’ program, a queueing system and an electronic driver’s license application,” according to Capitol Public Radio. It came as a big surprise, then, when three Democratic senators voted against a request for an audit of DMV wait times. Republicans sense they have a winning issue. While the Legislature deals with some complex and abstract topics, long lines at the DMV is not one of those. John Cox, who’s running for governor, quickly started using the audit rejection in campaign messages and in interviews. San Diego City Attorney Mara Elliott voiced support this week for a bill by Sen. Ricardo Lara that would prevent the civil arrest or service of process of anyone going to or from a court proceeding – a measure aimed at preventing Immigrations and Customs Enforcement officers from arresting people who are victims of or witnesses to a crime. “This overreach of the federal government into our state and local court systems has the potential to deny individuals their right to due process, deter crime victims from seeking protections and justice, and discourage witnesses from assisting with important criminal proceedings,” Elliott wrote in a letter to Lara. AB 2550 by Assembylwoman Shirley Weber limits when a male correctional officer can pat down a female inmate and from entering areas where female inmates might be undressed. Kim Kardashian’s a fan of the bill. AB 1406 by Assemblyman Todd Gloria authorizes school boards to enter into joint-occupancy leases and lease lease-back agreements for up to 99 years. 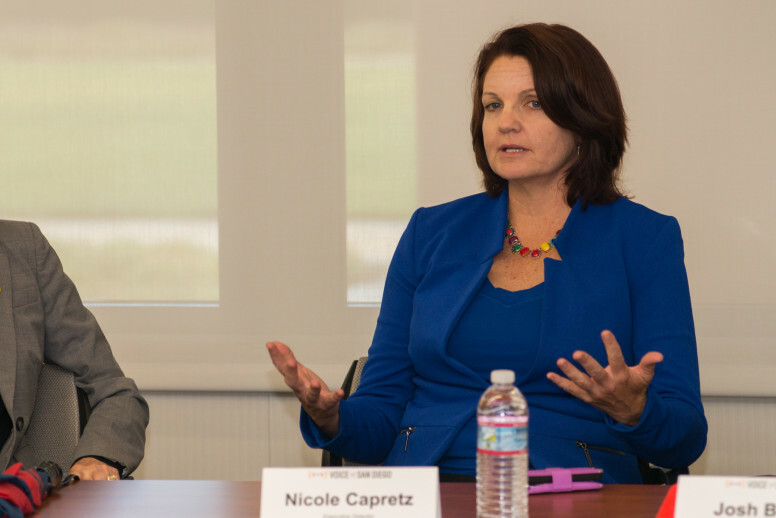 Senate President Pro Tem Toni Atkins appointed Nicole Capretz, head of San Diego’s nonprofit Climate Action Campaign, to the state’s Strategic Growth Council. The council, formed in 2008, helps spend money coming from the state’s cap-and-trade program. So far, it’s spent over $775 million on projects related to reducing greenhouse gas emissions, agriculture, health and housing. Gov. Jerry Brown’s administration is working to revive a controversial plan to tax water customers across the state. The governor and others have been pushing to add a new $1 fee to water bills to help provide safe drinking water to more than 300,000 Californians in mostly rural areas. A new version of the tax could pop back up in the next few days. It would make the fee a “voluntary donation” by allowing customers to opt out of paying it. The tax is controversial among some water agency officials because it would be taking money from customers in some parts of the state – generally the wealthier urban areas – and sending it to other areas of the state to subsidize other water agencies’ services. The idea of optional programs is not new: The city of San Diego allows customers to donate to a program to help low-income residents pay their water bills, though that program is opt-in, not opt-out. Who Is Causing Wildfires: the Climate or Utilities? Lawmakers are struggling to figure out how to deal with the liability that power companies have following wildfires. 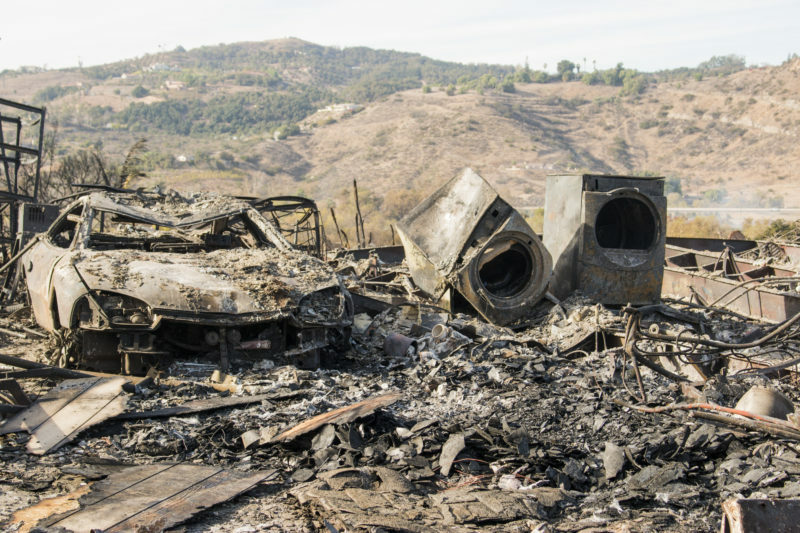 Right now, companies are strictly liable for property damage if their equipment helped caused a fire under a legal principal known as “inverse condemnation.” A series of fires last year was so devastating and costly that paying for the damage could force Pacific Gas & Electric into bankruptcy, the company has said. Fiske: Climate change may exacerbate the situation, which is all the more reason why we need inverse condemnation to reduce that risk, so that PG&E asks itself: Is our system designed and used in a way that reduces that risk in light of climate change? Hueso: Don’t you think we’re here because of climate change? Don’t you think climate change has triggered an enormous amount of fires and a drought that has decimated 120 million trees, that has created more fuel than the state or anyone, including a utility or a property owner, can manage? Fiske: I think we’re here today at this hearing because PG&E is asking for some sort of bailout. I think that’s why we’re here today for this hearing. I don’t think we’re here today because of overall climate change. Hueso: The question was: Is climate change causing this? Fiske: No, sir, no. Climate change does not cause and start wildfires.